Did you know that bottles and broken glass can act as a magnifying glass, catching the sun and sparking fires through reflection? Keep your drink containers in your car until you get to your destination and recycle them. Barbeques and summer go hand in hand. When you are out at your favourite lake or on the beach, make sure that you take extra care with your cooking fire. By soaking briquettes and putting them in a metal container before you throw them away, you can greatly reduce the risk of fires sparking in trash cans. A large part of our annual maintenance routine includes brushing along the roadside. Brushing, or cutting back the growth in ditches and along the right of way, not only increases a driver’s visibility; it also helps to control the spread of wildfires. Our ever popular traveller information website, DriveBC is kept up to date with information on wildfires which are in close proximity to provincial highways. Sometimes smoke can reduce visibility and in extreme fire situations where a fire might be burning too close to the highway, a road may have to be reduced to single lane traffic or even closed to help firefighters keep a blaze at bay. The Wildfire Management Branch monitors conditions across the province and provides current wildfire updates as well as education about other ways that you can help to reduce the risk of wildfires in BC. A recognized leader in wildfire management, their hard work and team effort make sure that most wildfires are contained within the first 24 hours of their discovery. EmergencyInfoBC is also a great resource for information in an emergency such as a wildfire. Their website will let you know about current wildfire activity, information about burning bans and restrictions as well as how you can be prepared to evacuate your home should a wildfire threaten your neighbourhood. Have a burning question? The BC Forest Fire Facebook Information Page is a place to discuss and post any questions comments or concerns related to BC’s wildfires. A long, hot summer may have been what most of us were looking for, but these dry conditions can mean trouble to our forests. 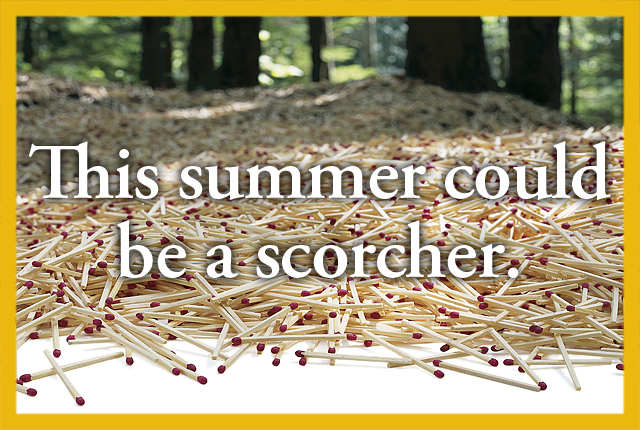 Human caused fires account for a large percentage of fire throughout our province and by cooling our carelessness; we can help to reduce the risk of wildfires this summer and year round. Thanks for your help. If manufactures of vehicles would include an ashtray it would stop a lot of jerks throwing their butts out the window.